Scotshield Fire & Security Employee Dene Wick's story shows how the Crystal Ball technology became a real life line. 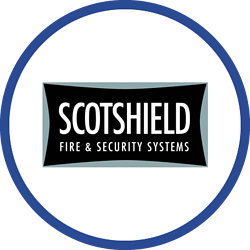 Establlished in 1989, Scotshield Fire & Security is a leading UK independent service provider for all fire safety, life safety and electronic security systems. As a maintenance and installation engineer for Scotshield, Dene Wicks spends a lot of his working hours on customers’ premises working alone. During one recent installation for a customer, Dene became unwell and had to leave the site to return home. During the journey, his condition deteriorated significantly and he was forced to stop his vehicle around a mile from where he had been working. Disorientated and suffering severe pains in his chest, Dene was fortunate that a colleague called him at that moment and soon realised that he was in trouble. 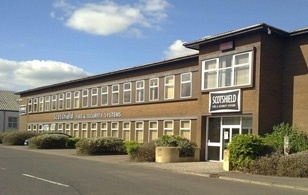 Scotshield’s office in Dundee was notified of Dene’s circumstances to which they swiftly implemented their emergency procedures. Using Crystal Ball’s web-based mapping, they were able to pinpoint Dene’s location in seconds through the MobileTrack Pro app installed on Dene’s phone. They were then able to get assistance to him immediately using Crystal Ball to co-ordinate the support effort. “It was a great help having Crystal Ball on my phone. I was told after the event that I was totally incoherent on the call and unlikely to be able to inform the emergency services as to where I was! “We are delighted to have Dene back at work and fully fit again. We rely heavily on our mobile workforce who, like Dene, work by themselves on a daily basis supporting our customers. So their welfare and security are paramount to us. This is one of the main reasons behind implementing Crystal Ball’s MobileTrack Pro, because it offers us greater visibility of our mobile workforce operations and assists us with welfare policies we extend to our employees. Even if Dene had moved away from the vehicle while on the call it would have still been possible to locate him and provide assistance.